Need help to curb your drinking? Reducing your alcohol intake can do wonders for your health. We'll support you to cut down and drink less. Drinking not only harms your health, but it can influence those around you. Here's what you could benefit from by cutting down. I used to drink 5-6 pints a week, at home or in the pub. I no longer need a drink every week. The Drinkaware Trust is a UK independent alcohol education charity who aims to work with others to help reduce alcohol-related harm by helping people make better choices about their drinking. AA is concerned solely with the personal recovery and continued sobriety of individuals with drinking problems who need help. 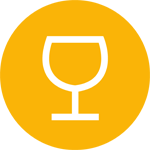 AA is free to everyone and is there to provide support to those looking to reduce alcohol consumption.